To start off our Nn week, we read Goodnight Moon in both English and Chinese. As we read the book, Kai matched pictures found in the book. I created vocabulary cards in Chinese and Kai placed counters as I call out each word. We did this a few times so that he is exposed to the Chinese words. He also did one tracing worksheetand counted stars. We didn’t do a night craft because he did one in Gymboree last month. 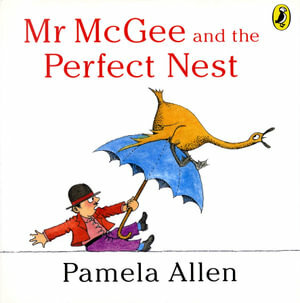 We read Mr McGee and the Perfect Nest yesterday. Kai enjoyed this book and actually “retold” the story in his own words. He worked on some nest printables and we made our nest craft today. Our letter Mm week was spread over three days. We started off by reading If You Give a Moose a Muffin, and followed it up with our letter crafts. For math, I placed numbers 1-10 in a muffin tin, and let Kai count and put the corresponding number of counters into each muffin cup. For literacy, Kai did an ABC match-up (with the help of his big brother!). We baked mini muffins yesterday. Kai loved helping out and of course, gobbling down the muffins! 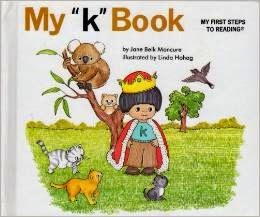 We read My “k” book yesterday and Kai learnt new words like kingbird, kaleidoscope, kitten, kettledrum, kid (baby goat), katydid, keg. He did a bit of math yesterday night because he wanted to “study” like Belle & Keefe. Here he was circling sets of 2 objects and 3 objects. One of his preschool teacher's goals for Kai was for him to independently write his name by the end of this year. We have been practicing writing his name at home through tracing. Yesterday, he told me he didn't want to trace and wrote his name independently. Hooray! We made our king craft to complete our Kk day. The glitter was messy!